This time I update 3 penny stocks in one list. We Can Buy these stocks In May 2018 and hold for 25% to 200% return. Holding time not sure It maybe 1 months to 3 months, or 1 year to 3 years. I think most of my followers already read my book "The Winning Theory In Stock Market" where I told simple shopkeeper approach, In this approach, we buy small quantities of multiple stocks and hold them without any stop loss. So In May 2018 we watch these stocks and invest 5% of our monthly income in every stock. It is my investing style suppose you earn 50,000 per month then do not invest 5% of your monthly income means invest INR 2500 in each of these stocks. As a custom of penny share blog whenever target of 25% to 200% will come I will update on this blog. Century Extrusions Limited (established in 1991) is promoted by Late Shri M. P. Jhunjhunwala, a first generation entrepreneur. 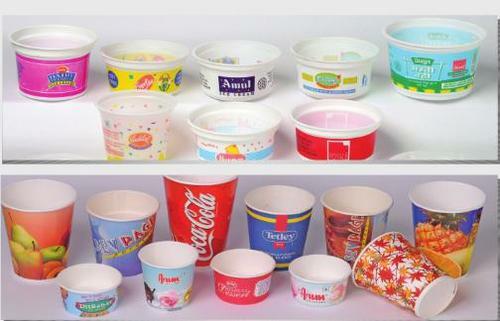 The Company is one of India’s large pure play aluminium extrusion manufacturer. CEL’s production facility is located at Kharagpur (West Bengal) in eastern part of India, close to leading primary aluminium manufacturers in India. Lloyds Metals and Energy Limited. 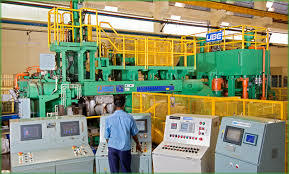 (LMEL), one of the biggest Sponge Iron manufacturers in Vidarbha region is a unit of Lloyds group. LMEL plant is located in Ghughus near chandrapur which offer us an easy accessibility for basic raw material inputs like Iron ore ,Non-Coking Coal and Dolomite/Limestone. LMEL has further gone for expansion by installing waste heat recovery based 30 MW Co-generation Power Plant in the year 2010 using waste heat from Kiln off gases being generated from the kilns while manufacturing Sponge Iron. Promoters Holding: 63.14% and promoters increase their holding from 62.92% that's good. Discloser:- I Mahesh Chander Kaushik author of this research report is an existing research analyst and passed NISM certification for research analysts. 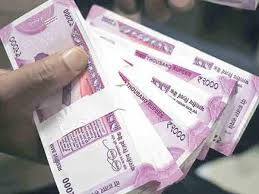 I am also registered with SEBI(RESEARCH ANALYSTS) REGULATIONS, 2014 ( SEBI Registration Number INH 100000908 ) hereby disclose about my financial interest in the subject company and the nature of such financial interest:- 1 Me and my associates or relatives have not held any share of above 3 companies so my personal interest is not included in this stocks. 2. Me and my associates or relatives have not any actual/beneficial ownership of one percent or more securities of the subject companies ( above 3 companies). 3. Me and my associates or relatives have not any other material conflict of interest at the time of publication of the research report. 4. Me and my associates or relatives have not received any type of compensation from the subject company or companies(above 3 companies) in the past twelve months. 5. I am not served as an officer, director or employee of the subject companies ( above 3 companies). 6. I have been not engaged in market making activity for the subject companies (above 3 companies). I am happy to announce 41 th profit booking of this blog. 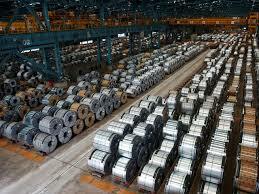 After this research report stock down till 6.44 and today, Jayaswal Neco touch his 52 weeks high 12.85. So stock gives near about 100% return. But If we count buying price 8.16 and profit booking price 11.85 then actual profit is 45.22%. So this is the reason why I say we book 45.22% profit? And as a custom of this blog, I publish sell calls for penny stocks so when I see SBI file a bankruptcy application against this company and company file a high court writ against this bankruptcy application, then I think this may give negative impact on stock price. So I recommended to book profit, but profit booking does not mean that rally in this stock is over If you want to hold this stock then hold with tralling stop loss. Discloser:- If you read my book How Chandu Earned And Chinki Lost In The Stock Market then you may know I continue accumulating CCHHL stock since last 3 Year. I am happy to announce 40 th profit booking of this blog. I give the target of 12+ for this stock and stock recently touch it target price 12.35 on 1 Nov 2017 and I think most of my follower book his profits at this target price 12+. So If we count buying price 5.91 and profit booking price 12.35 then actual profit is 108.96% then why I say we book only 52.60% profit? After publishing or this research report on 09 Oct 2017 stock open at 6.40 and closed at 7.09 so I take 09 Oct 2017 close price 7.09 as a buying price. Why My New Youtube Videos Not Released? 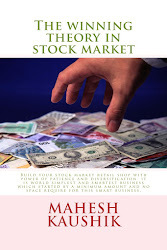 I am busy to complete my 4th stock market book (First Hindi Book) " Kese Panhucha Abdul Share Bazar Ke Shunya Se Shikhar Tak" This book almost 90% complete and soon you hear a good news about the launching of this book. So due to completing this book, I am not released new videos and not reply most of the comments and emails.